Caption: This image shows the uncontrolled growth of cells in squamous cell carcinoma. For Markus Schober, science is more inspiring when the images are beautiful, even when the subject is not. 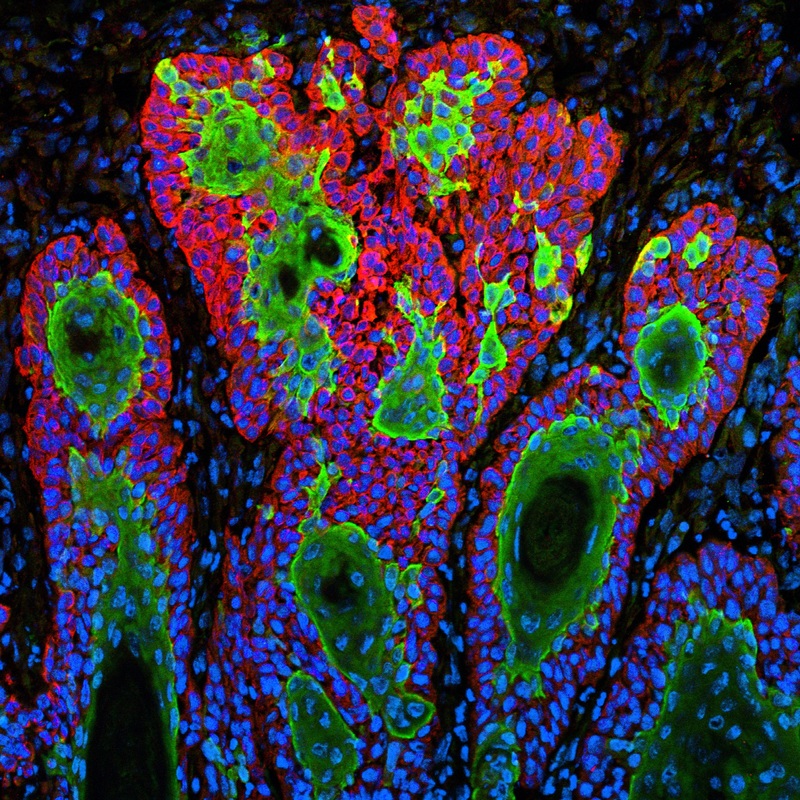 So, when this biologist was at The Rockefeller University in New York and peered through his microscope at squamous cell carcinoma (SCC), both the diabolical complexity—and the beauty—of this common form of skin cancer caught his eye. Schober wasn’t the only one who found the image compelling. A panel of judges from the National Institute of General Medical Sciences and the American Society for Cell Biology chose to feature it in their Life: Magnified exhibit, which recently opened at the Washington Dulles International Airport. 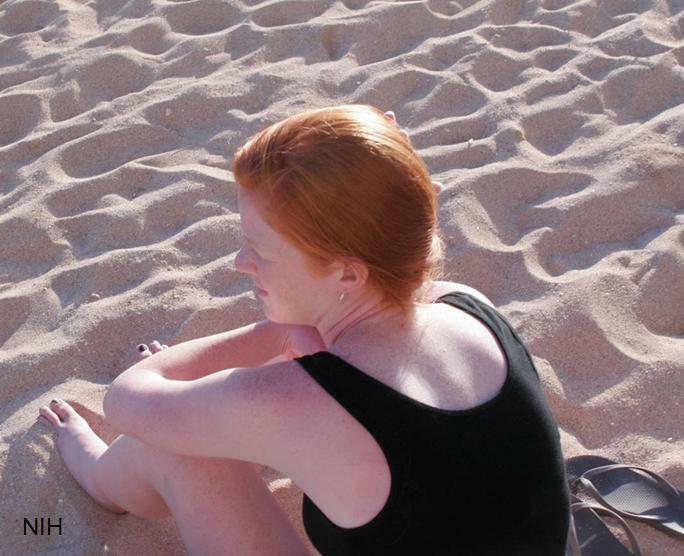 We’ve long known that redheads are 10 to 100 times more vulnerable than people with other hair colors to melanoma, a particularly dangerous form of skin cancer. What we haven’t known is why. Why would the hue of your hair have anything to do with your cancer risk? When you consider that melanoma is our most deadly form of skin cancer— expected to cause some 77,000 cases and 9,400 deaths this year alone—it’s important to figure out the connection. A new study , led by NIH-funded researchers in Boston, has identified a couple of key links.